The Decision Deck project collaboratively develops Open Source software tools to support the Multi-Criteria Decision Aiding (MCDA) process. ILP is a very well know algorithm to discover Petri Nets out of Event Logs. It is implemented as a plug-in for ProM (versions 6. *) while it is also used in other PM techniques (e.g., the Divide and Conquer plug-in use ILP to Discover Petri Nets using Decomposition). To solve the corresponding linear problem it uses the free library Lpsolve. However if you are using a 64bit Mac like me, if you try to run any ILP related action through ProM you will get a java exception. I found them in a directory called bin/osx64, but based on different versions of the library you may find them directly to the lpsolve55 folder. 8. Test the Java extension. You will run the same demo and you should expect the same results. There is also a Java unit test. It sounds complicated, but it is simpler than always looking for a Windows machine to discover your Petri Nets! 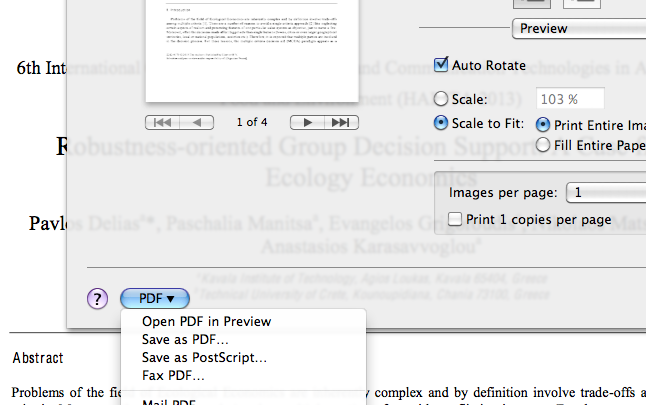 Then I found this plug-in (Excel add-on) called Excel2latex, which makes excellent work! …and it works for Mac (tested with Snow Leopard, Excel 2011), yet in Windows it has richer features! The common input for Process Mining tasks is the Event Log (and its common format the csv). Event Log files contain rows of events along with their timestamps (and of course their case Id). Indeed, in R, after you import the csv file (let’s call it EventLog), you just need two lines of code!